We no longer have a formal awards ceremony on Sunday morning. Reality was that most of you understandably blow town to get back home or see other sites before then, plus the fact that we’re pretty much brain dead zombies by that point (you could argue that we’re always brain dead, and you’d have a solid point, but that’s beside the point). So, we wrap everything up Saturday afternoon/evening. All awards are handed out at the finish line as runners finish and as results are tabulated. All 100 mile finishers will get a belt buckle. Sub-24 finishers will receive a special Sub-24 buckle. All 100 mile finishers will also receive an extra special finisher’s shirt. 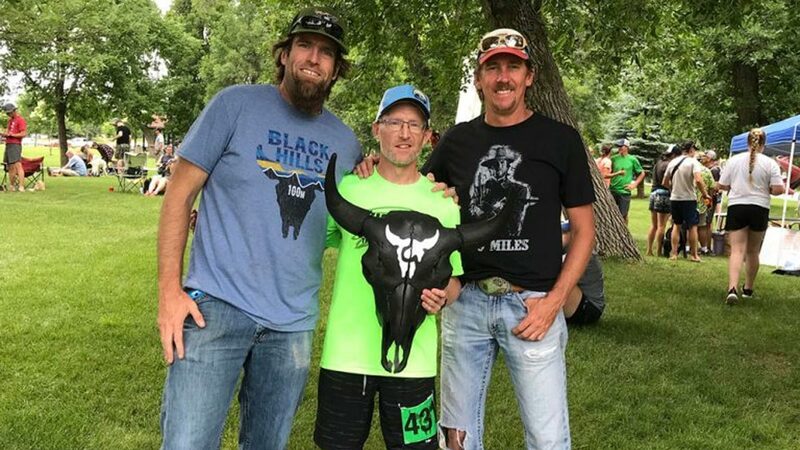 The top three men and women overall in the 100 mile race will receive the coolest trophy in all of ultra running: a buffalo skull hand painted by local artist Dan Chapman. We no longer do three-deep age group awards in ten year increments. 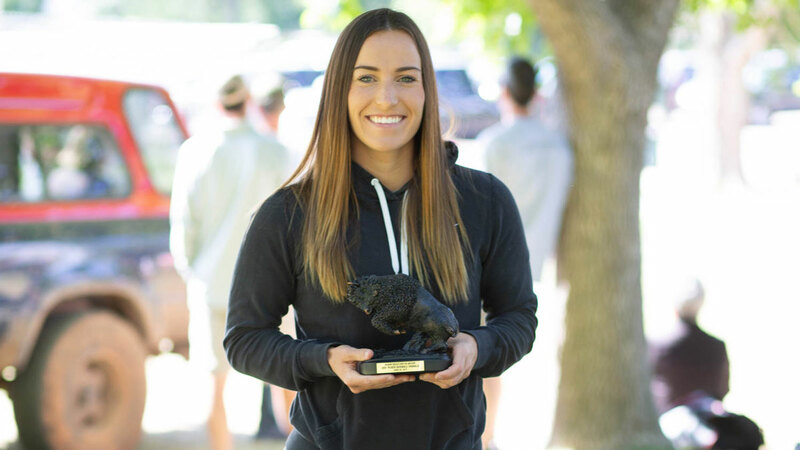 Top finishers in the Open, Master’s (40+), and Grand Master’s (50+) categories will receive a trophy. All finishers in the 50M/50K/30K will receive a finisher award of some sort. It changes every year, based on our whims. Starting in 2018, we introduced the Man/Woman in Black Award. 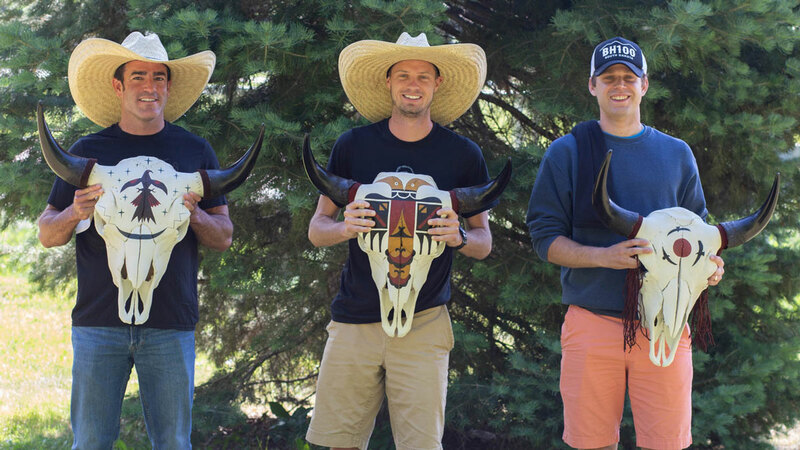 Let’s face it, most of y’all aren’t fast enough to win a buffalo skull by finishing top three in the 100. But you can still get yourself one. All you’ve gotta do is run all four distances (100 mile, 50 mile, 50K, and 30K). You can do them in four straight years, you can do them over the span of 10 years. Doesn’t matter. Finish them all, and you’ll walk (hobble?) away with a skull. If you are to the point where you have three finishes and are eligible for the Man/Woman in Black with one more, it might not hurt to drop us a line (blackhillsultra@gmail.com) and let us know…we try to keep track but a few of you are bound to slip through.